You save $45.00 Drop off School: Genius R Us Age Group: Kids aged 5 to 12 17	Kids have signed up! Back by popular demands, cup cake making class is back! 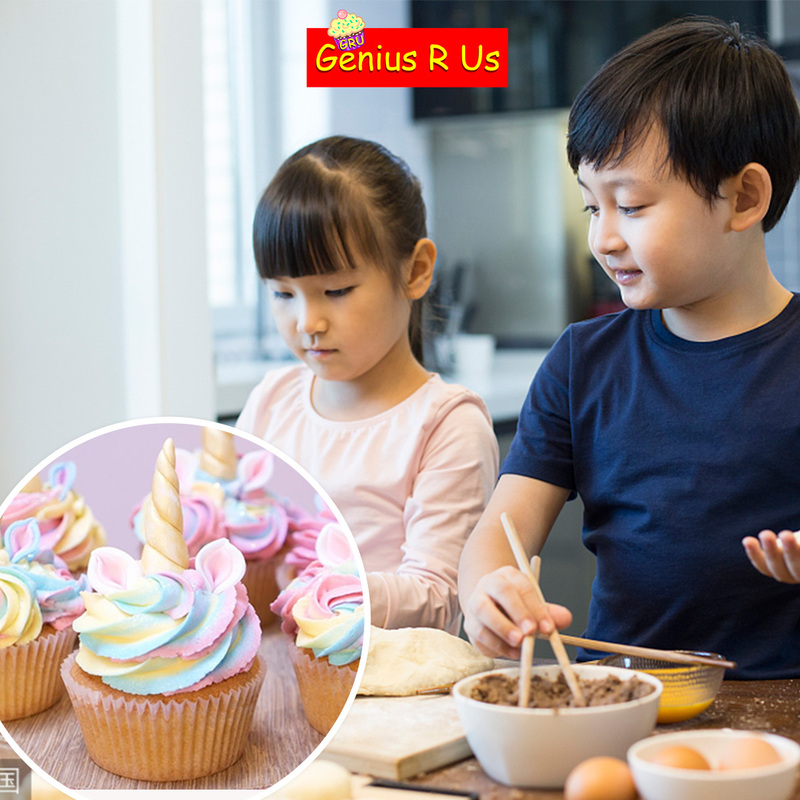 Your child will learn to decorate colorful unicorn cupcake! It will be a full hands-on session where your child will get to measure ingredients from scratch, decorate cupcakes using buttercream and sculpt the horns and ears using fondant. Enrich your child with a new skill of cupcake making at Kids World Largest Parenting Fair! Your kids will TAKE HOME the beautifully decorated Unicorn cupcakes made by themselves! Suitable for child age 5 to 12 years old! Genius R Us specialize in unique learning experiences through their Kidz Can Bake!TM , Tots can Bake!TM and Kidz Can Craft!TM series of workshops, themed & fun birthday parties and customised team building activities. They host fun and enjoyable workshops in a friendly and highly interactive environment. With their heartwarming and experienced instructors, you will get to whip up exciting baking dishes! Genius R Us Studio is open to everyone, find your favourite class and come join them for a hands-on baking experience!